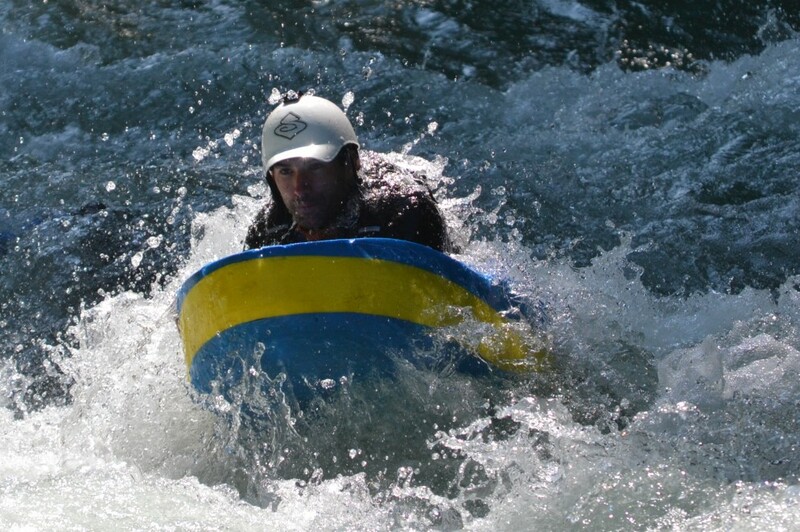 Frogs Rafting Top Ten White Water Tips! 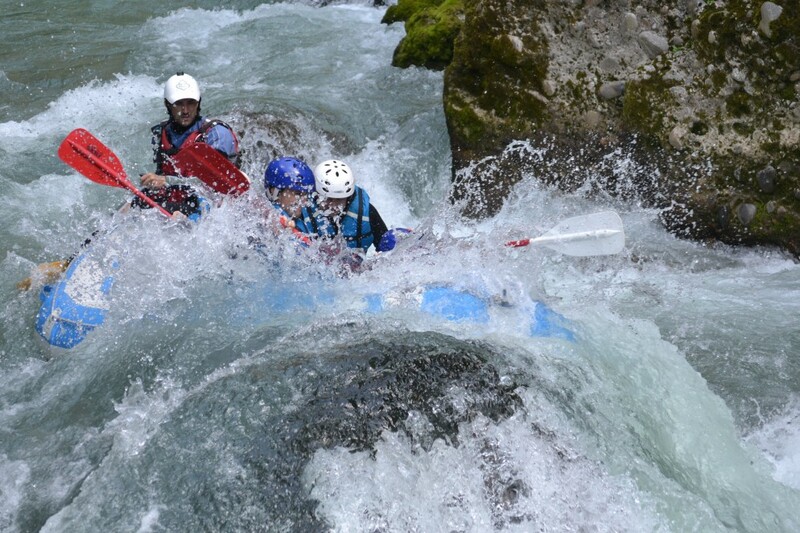 This is the fourth year on the River Dranse for Frogs Rafting, and Nat and Jeremy are always eager to show you the Alps at their most breath-taking! 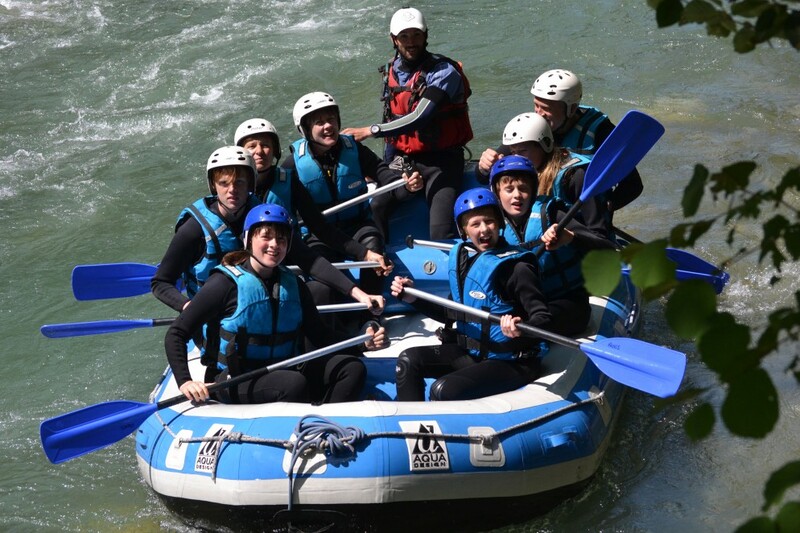 Rafting is the ideal way to see a part of the valley that you’d otherwise probably not notice, as well as being the the most versatile of our activities – anyone can do it and it’s an ideal way to get your adventuring hat on! 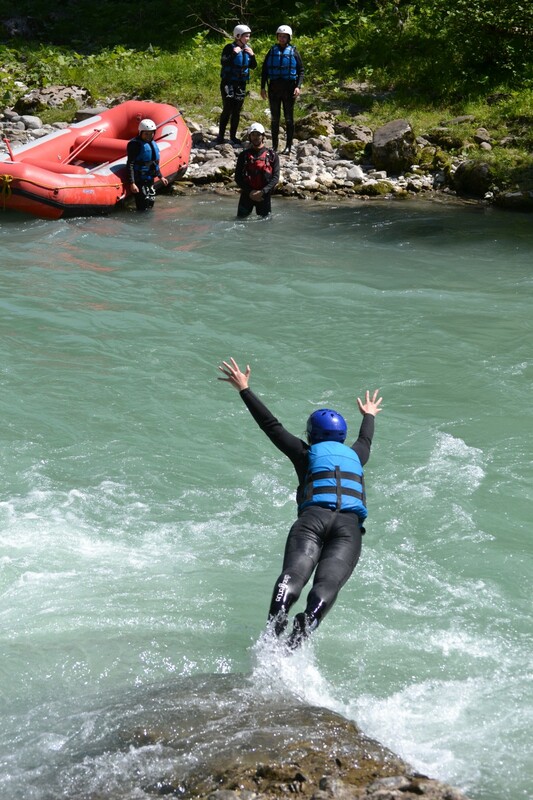 After you’ve had a taste you might want to explore the valley a little more which is why we also go climbing and canyoning, and we offer plenty more white-water activities should you decide you want to take on the river again! 1 Anyone can do it – there’s no upper age limit: as long as you can swim 25ms, you can raft! The oldest person we’ve taken rafting is 76 years old; the youngest we can take on the Dranse is 8 years old. Let us know when you book what kind of trip you’re interested in and the guide will do his best to deliver, although we can never guarantee you’ll not fall in. 2 It’s a brilliant wet-weather activity! The only people smiling on rainy days are kayakers and rafters: you’re kitted out to get wet and you won’t notice the rain once you get started! 3 There’s hardly any water in the Lower Dranse (where you raft) in the early morning and late evening – the level is controlled by the Hydroelectric Powerstation which releases water from the dam at Le Jotty. When water levels fall in the dam (when there’s not been much rain late in the summer) we have only a few hours to get you down the river as the dam closes early. 4 You rely on the guide, but the guide relies on you too! Each paddler is essential to the team: the guide will organise you in the boat so weight and strength is equally distributed, but everybody must paddle to keep the boat balanced, the guide cannot do it alone. 5 If you sit at the front you’ll get splashed, at the back you’ll get more bumps…there’s no ‘best seat’, it’s worth moving round when you have the chance, but do listen to the guide’s advice: see above! 6 Wetsuits are you’re best friend. Ok, so you’re floating on recently melted snow but as soon as you get wet you get a thin layer of water between you and your wetsuit which your body then warms up, so within a moment of the initial shock, you’re perfectly warm. Paddling hard also helps …. 7 …but peeing in your wetsuit won’t keep you warm: go to the loo before you get kitted up! You want your wetsuit to be snug so water doesn’t wash through if you fall in and remove that layer of water you’ve warmed up. Pee in your wetsuit and you’ll be warm until it starts cooling down: in the end you’ll just be sitting in your own cooling-down wee! You can get the lowdown from our very own Rowena on her amazing trip with Frogs! If you have booked to stay with us this summer then you might be lucky enough to win a rafting trip with Nat and Jeremy as we are going to pick a winner from one of our lucky guests very soon!!! Hurrah! Remember to check out the Frogs Rafting website for more information or get in touch with us and we will do our very best to help! Previous: Get Fueled for the mountain for just €6 at Hotel L’Aubergade! Next: Mountain Mavericks Formula 2 Team! !